For youth, it’s important to provide opportunities to learn and explore different subjects such as math. Addition is the first arithmetic skills kids must master. 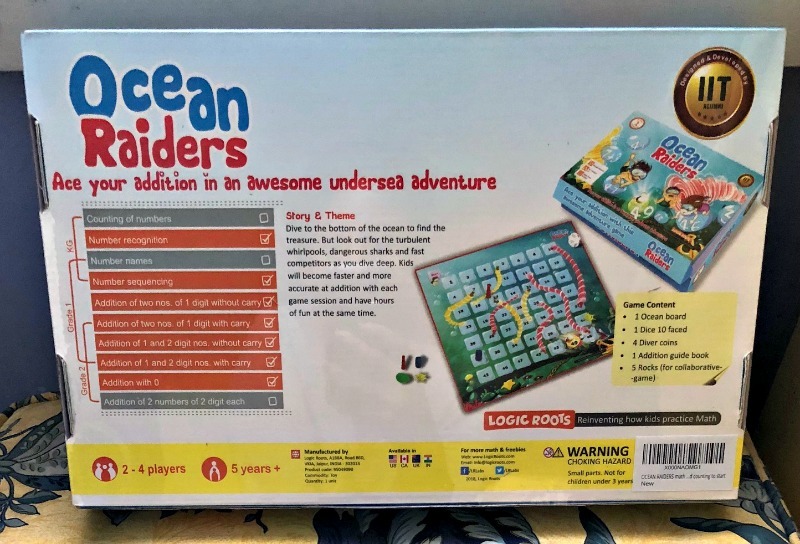 Make math a game and a joy with this specialized addition only game, Ocean Raiders from Logic Roots for kids. The rules are designed to be easy for young learners. But there are a lot of twists and turns and ups and downs to keep you hooked. Discover the true joy of math with this game. Play with numbers, with your family and friends. Imagine the joy and simplicity of chutes and ladders seamlessly combined with an addition game. Gain a lot of math practice as well. Logic Roots games make great holiday gifts and are best used for learning and educational purposes for children. A huge treasure is waiting for the brave Ocean Raiders at the bottom of the ocean. Players will have to watch out for huge storms, dive through raging whirlpools and beat their competition in this awesome addition adventure game. Master one and two-digit addition along the way. It comes with a special 10-faced die and built-in challenges to provide you with hours of fun. At the same time, you’ll be mastering addition. It is an extremely engaging game designed around an adventurous story of kids, who try to find gold that has been misplaced long ago. This game is for kids 4 years and up, and can be enjoyed by parents and teachers alike — available for $17.98. 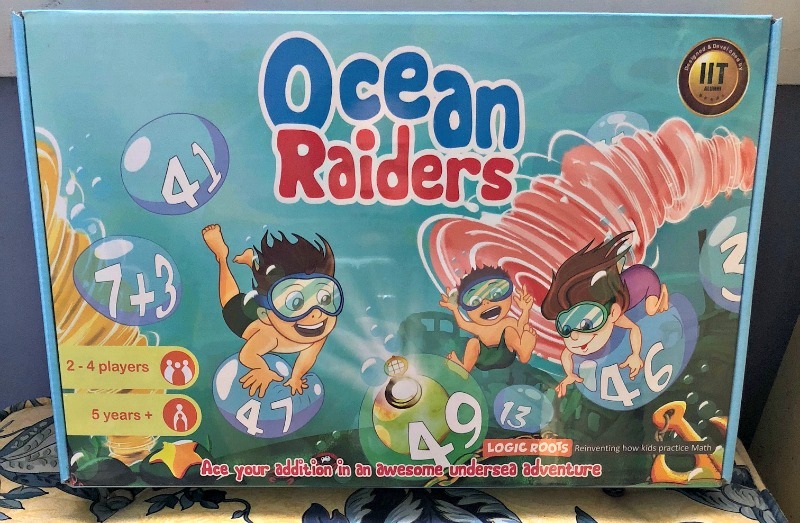 With Ocean Raiders, players will achieve 11 times more practice than traditional class time and worksheets. Logic Roots is passionate about math and have done extensive research to develop their unique games. They work with the vision of reinventing how children should practice the subject through gamification of its concepts. Their board games, card games and apps are widely used by top schools and homeschooling parents to help children fall in love with math. Through their games and activities, they make practicing math full of fun, building a love for math while connecting people. Logic Roots believes their board games are great gifts of a lifetime and will provide learning of math to kids for life. These games bring families together and enhance their bond forever. Thanks. This game looks interesting.